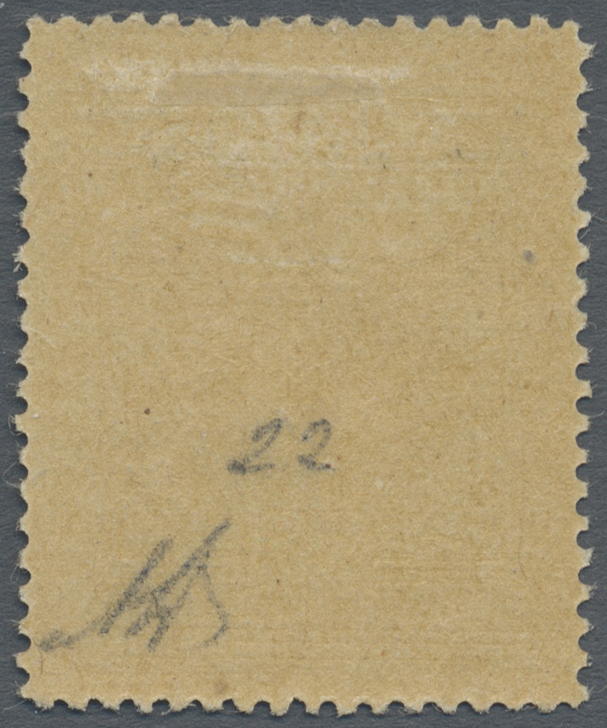 20864 postfrisch (never hinged) ** Paar (few) 113 Ums, Sass. 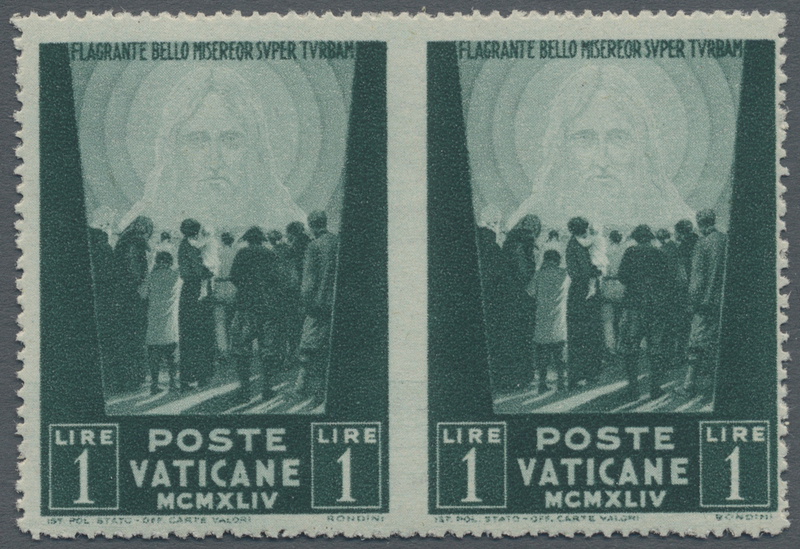 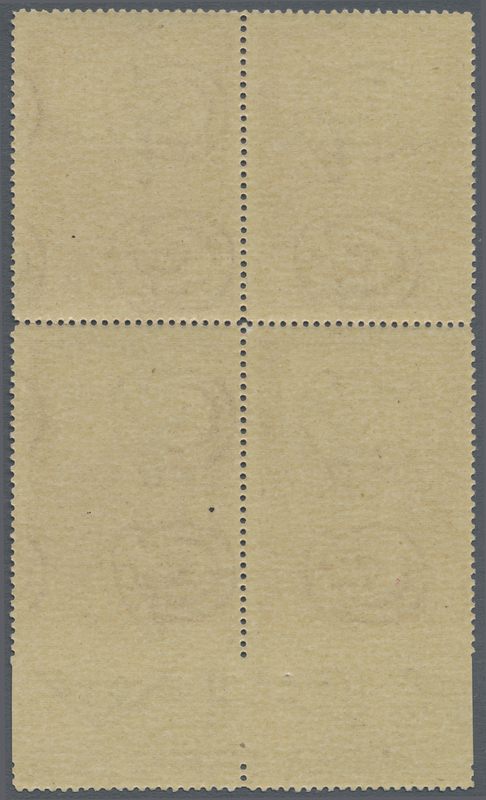 99 e 1945, 1 L deep green "war victims relief", horizontal pair with vertically imperforated center. 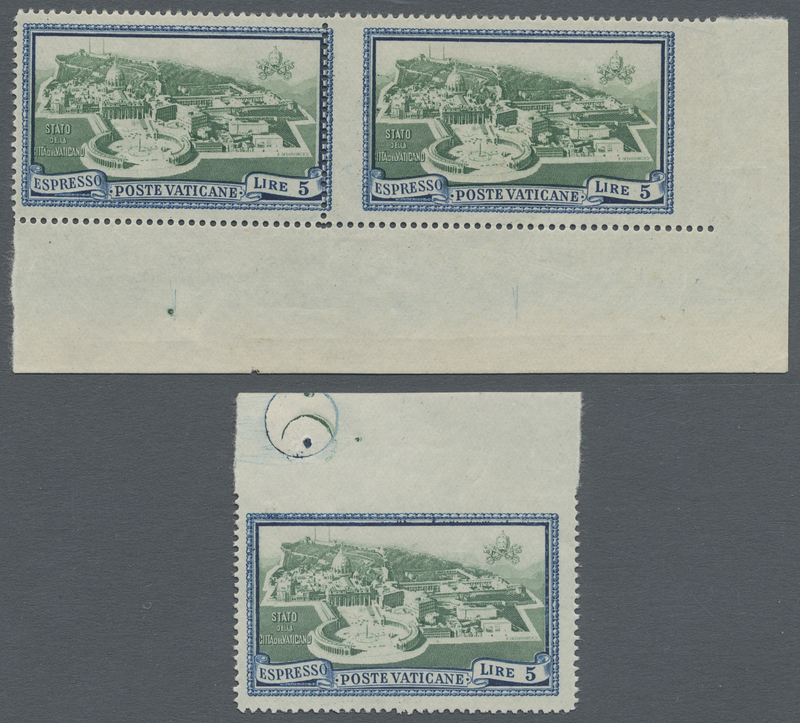 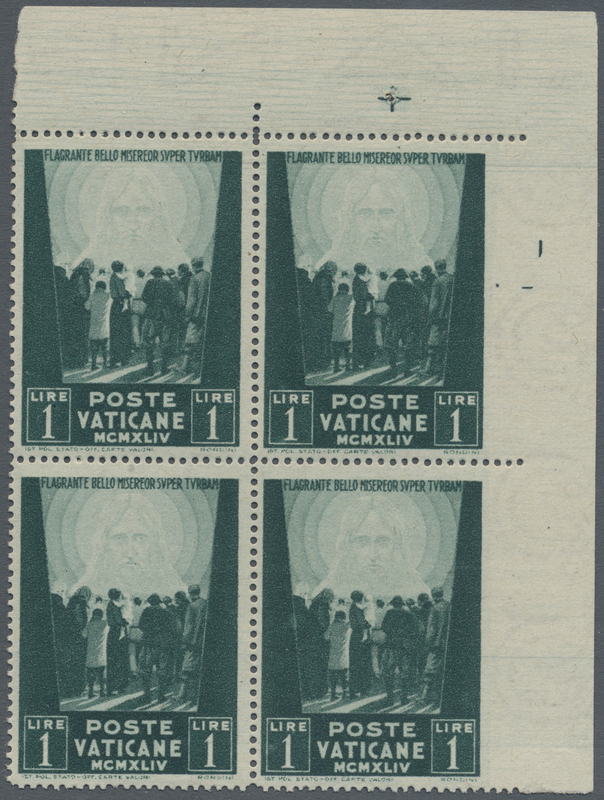 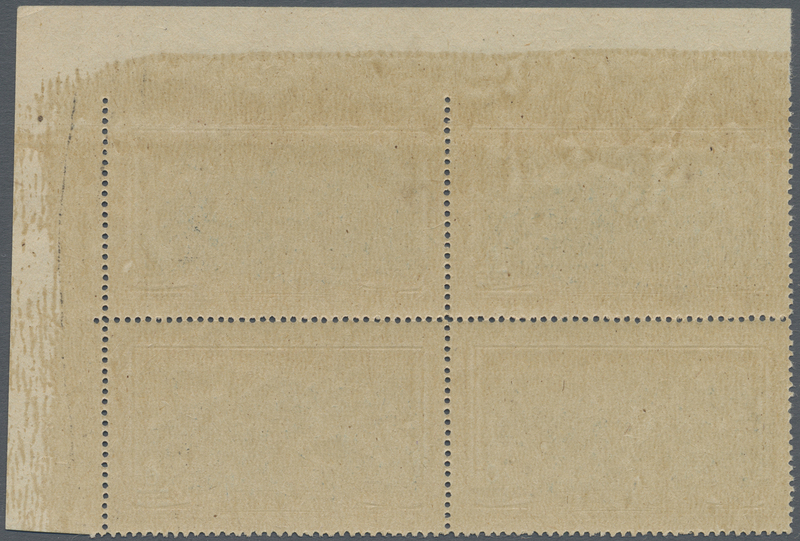 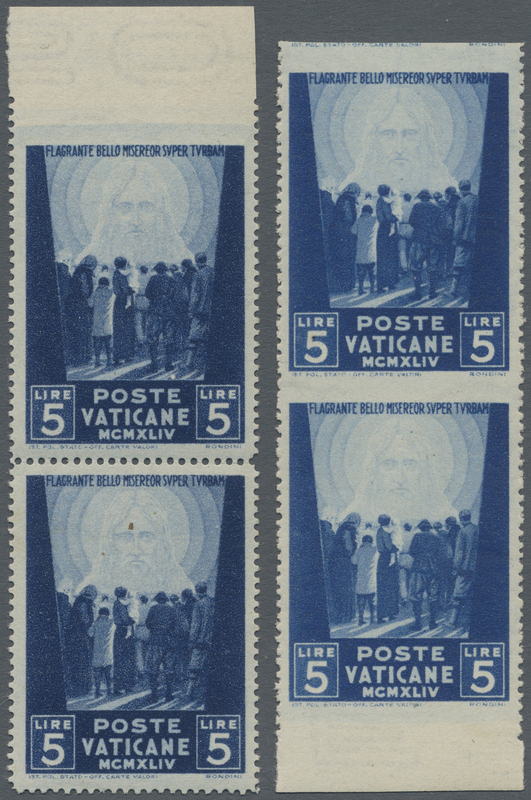 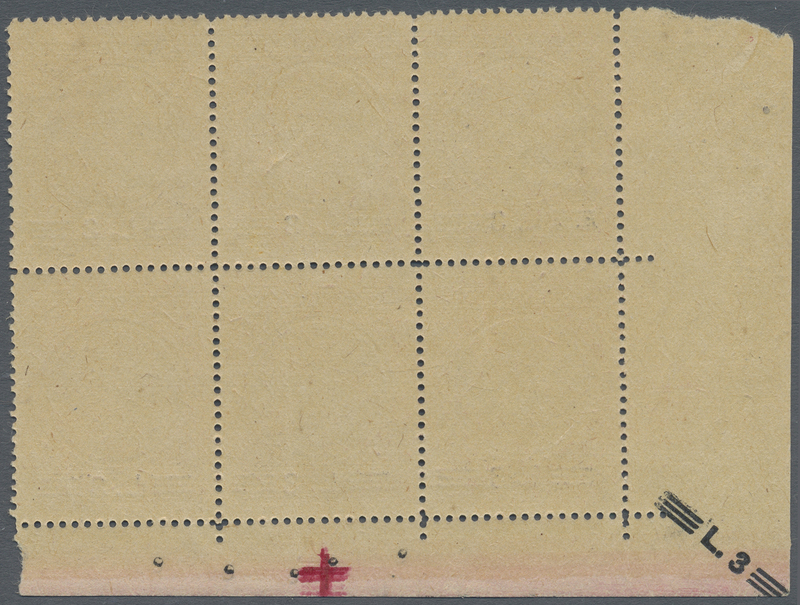 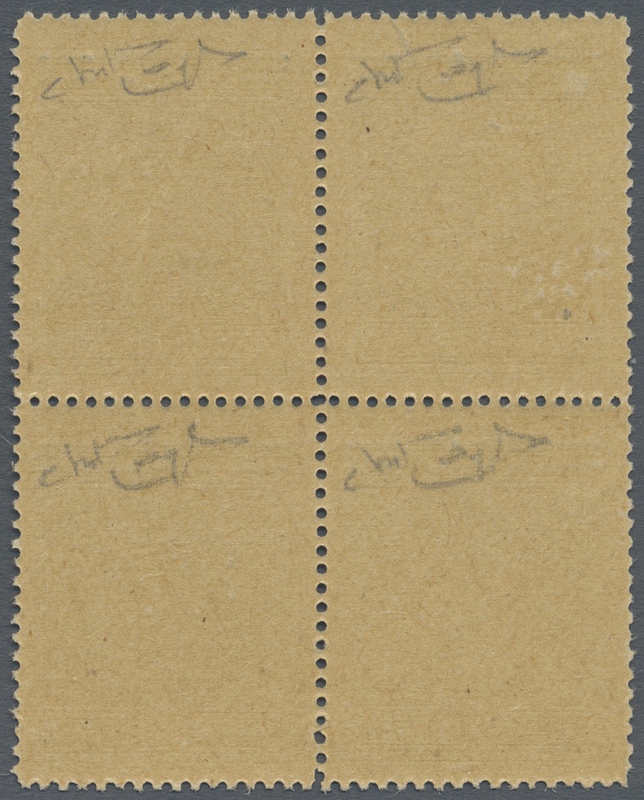 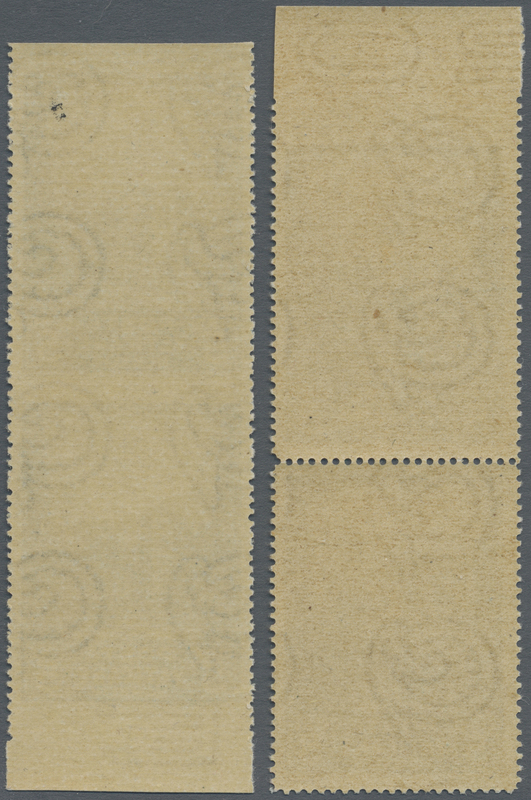 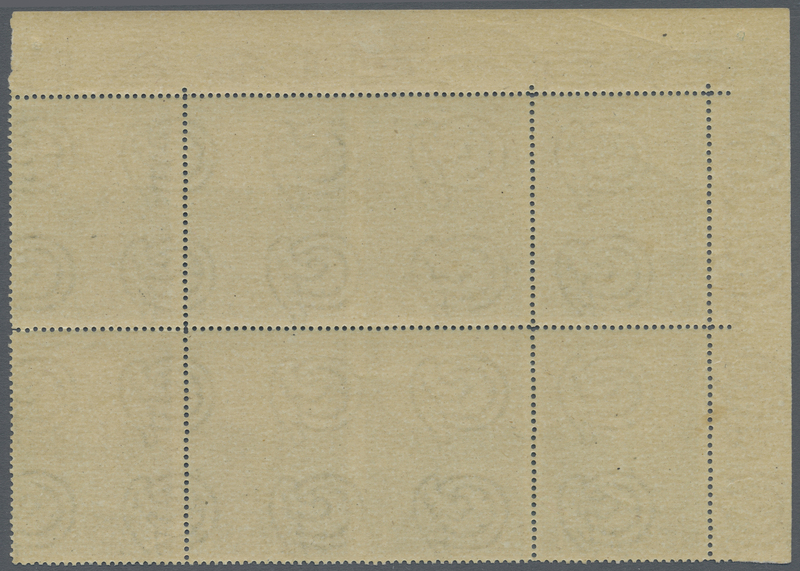 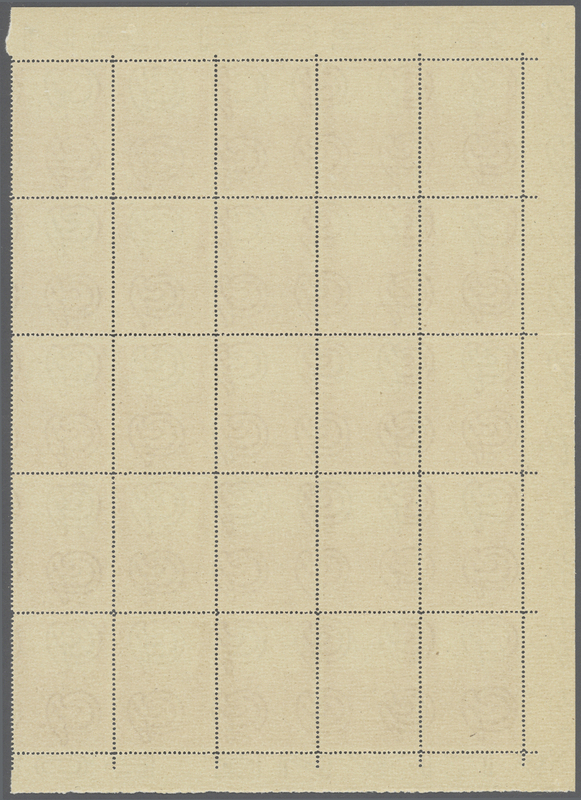 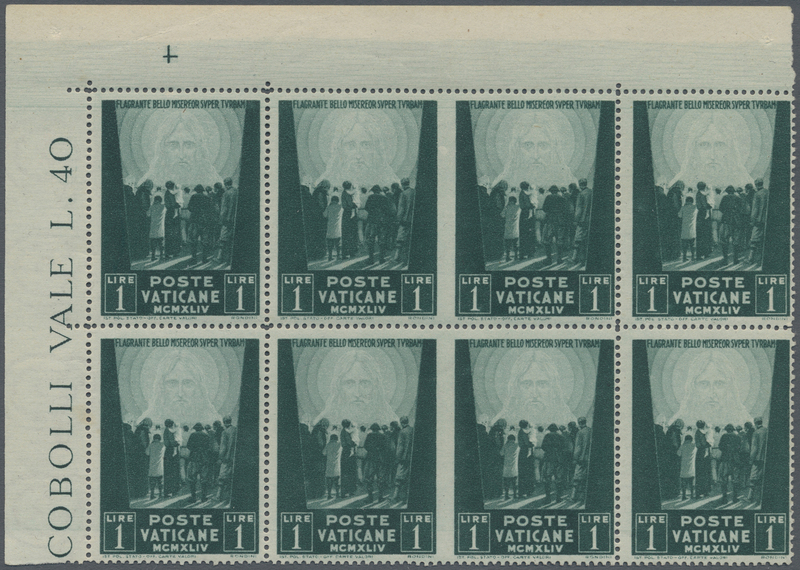 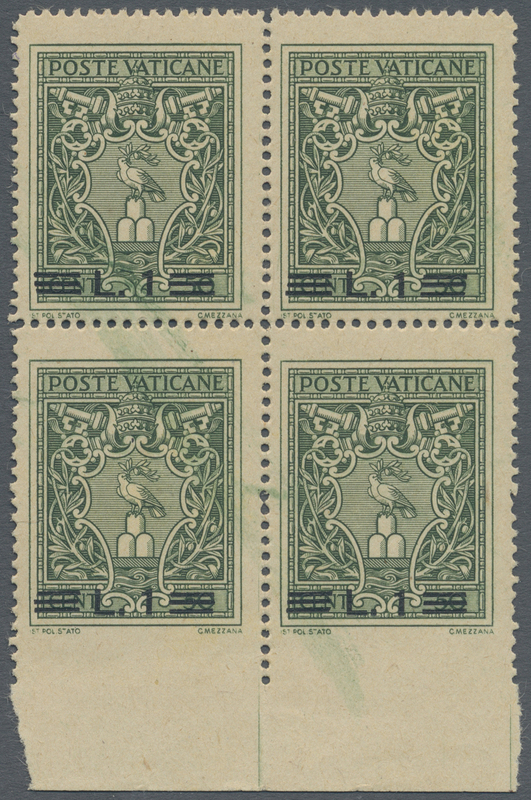 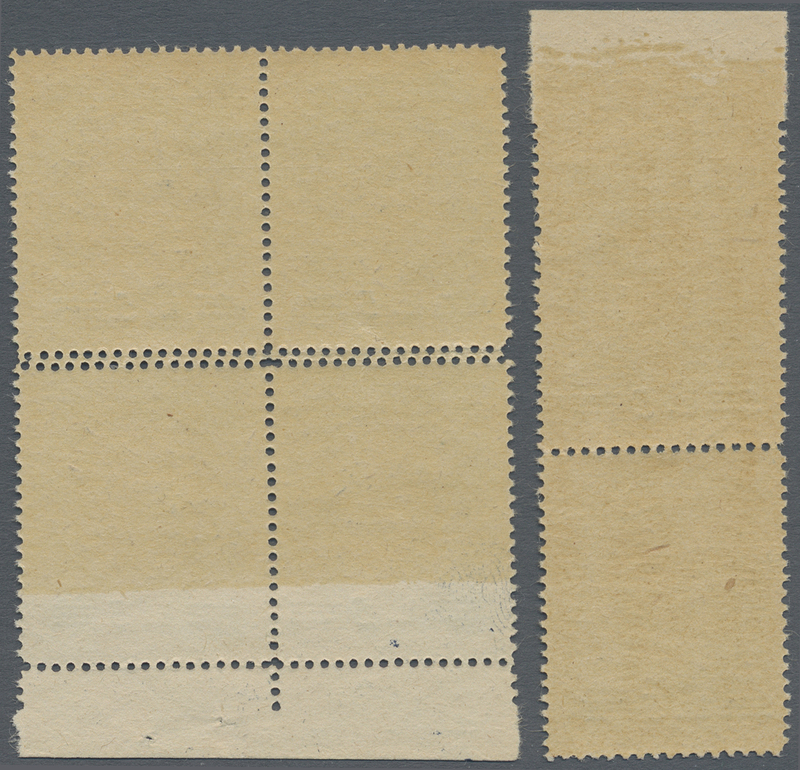 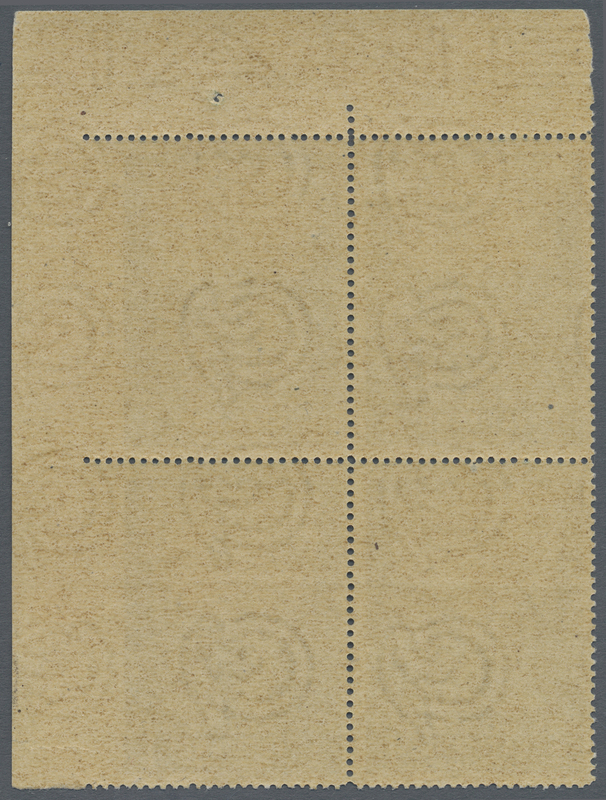 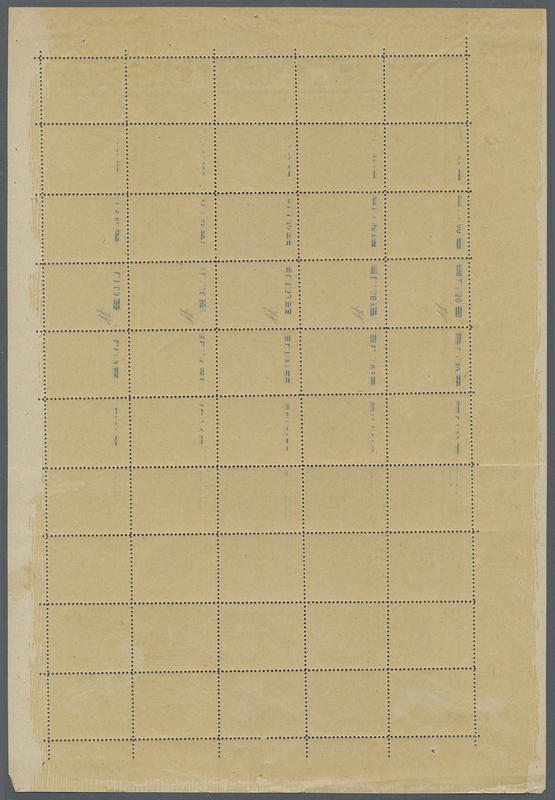 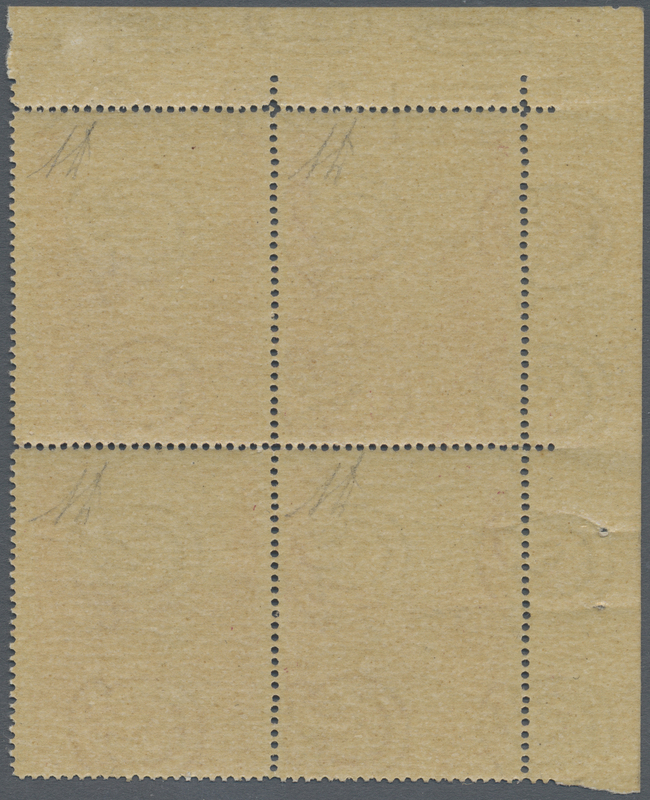 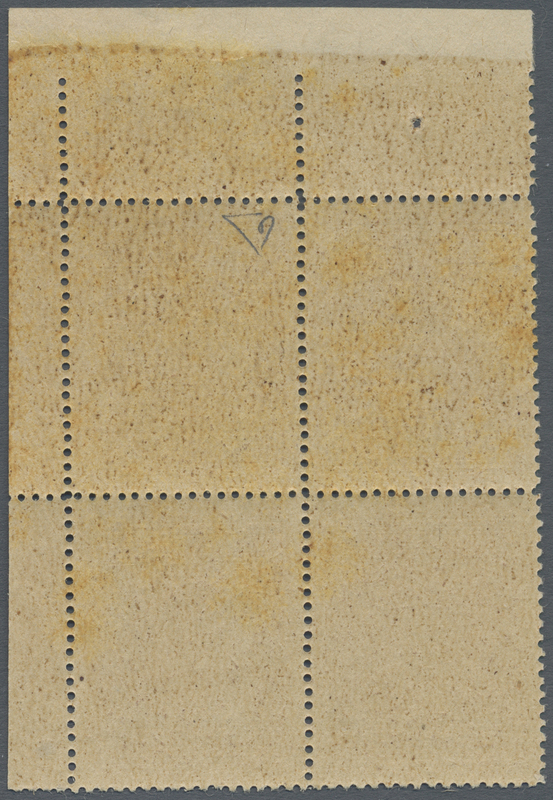 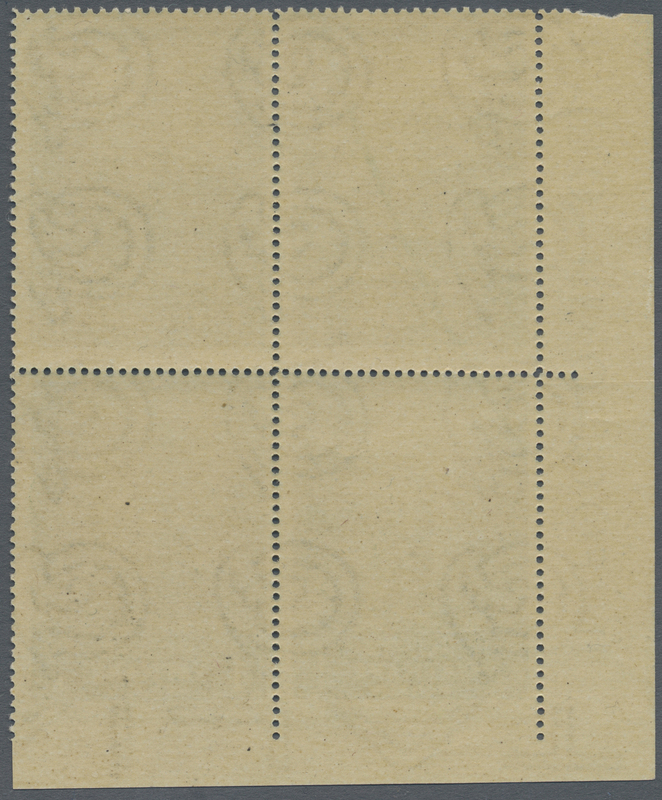 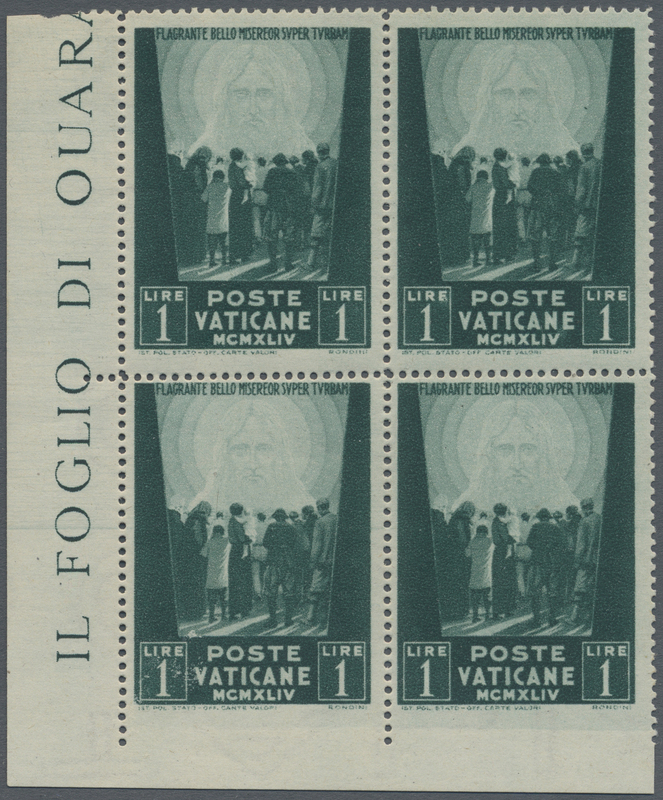 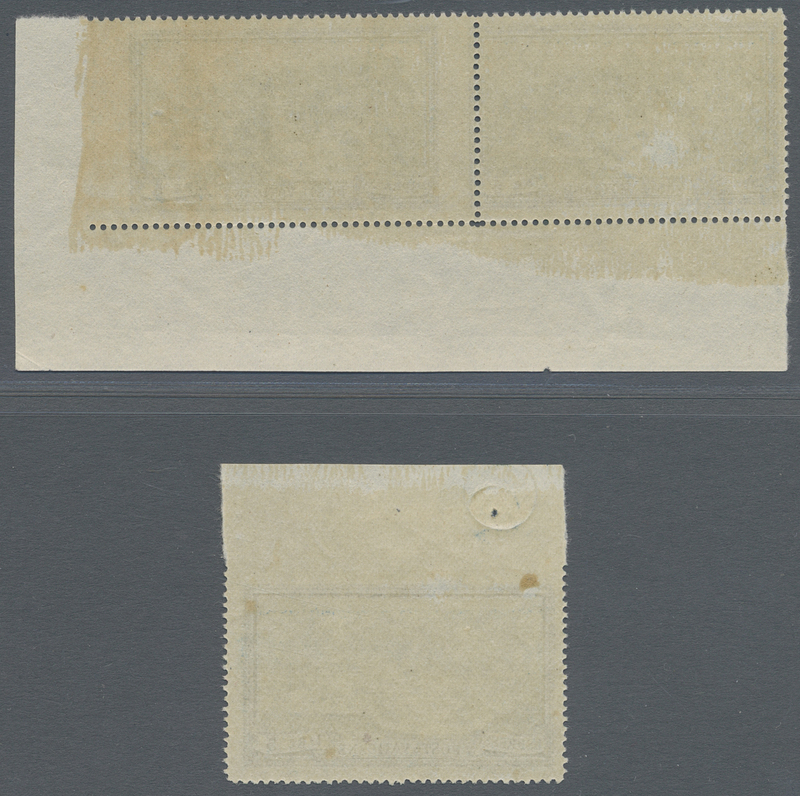 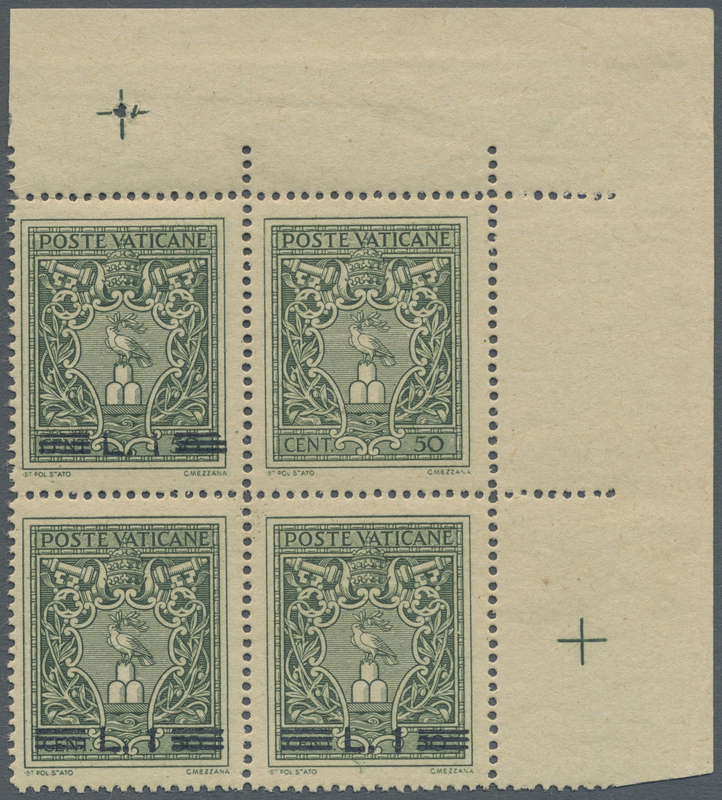 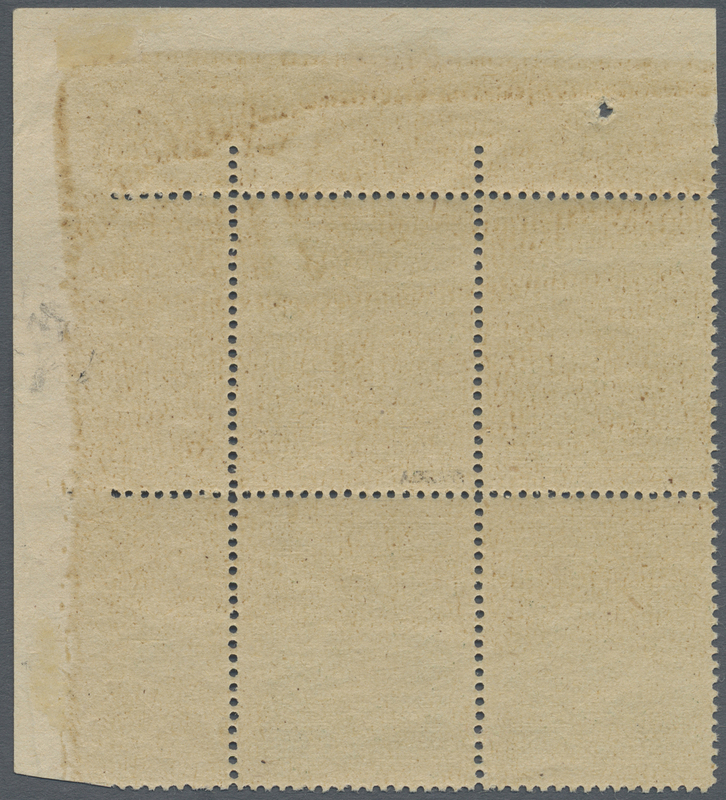 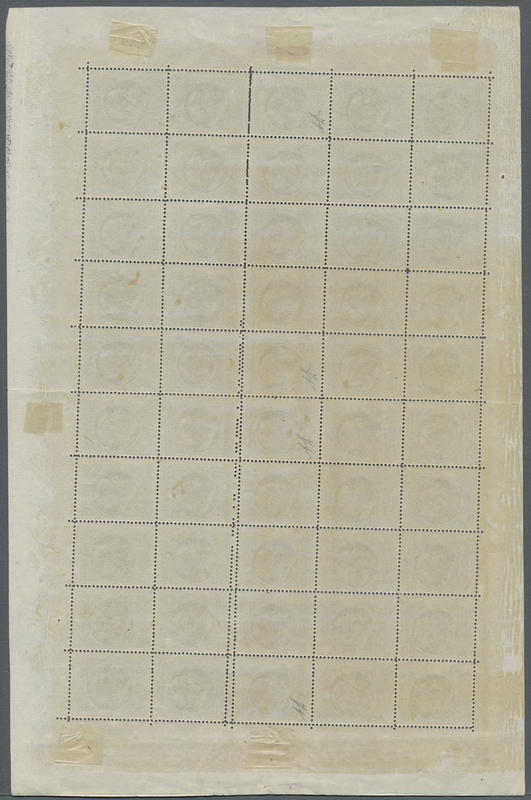 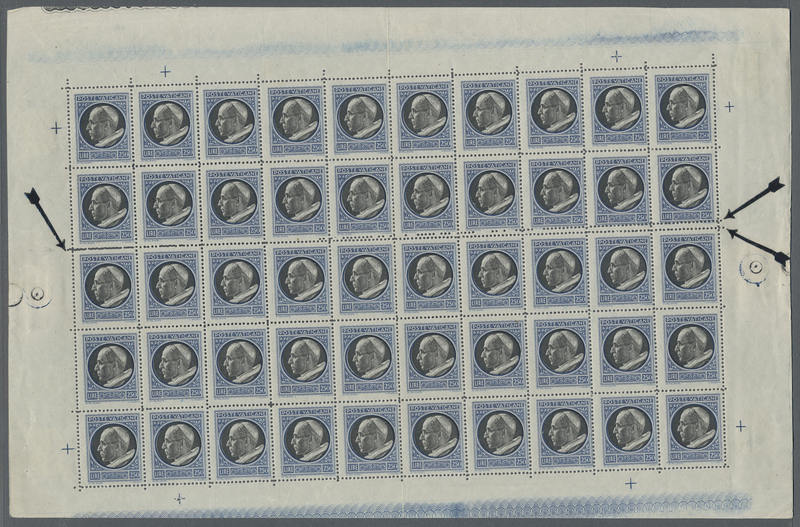 20865 postfrisch (never hinged) ** 113 Ums (2), 113 (4) 1945, 1 L deep green "war victims relief", block of 8 from upper left corner, at left and at right two regular vertical pairs, in between two horizontal pairs with vertically imperforated center. 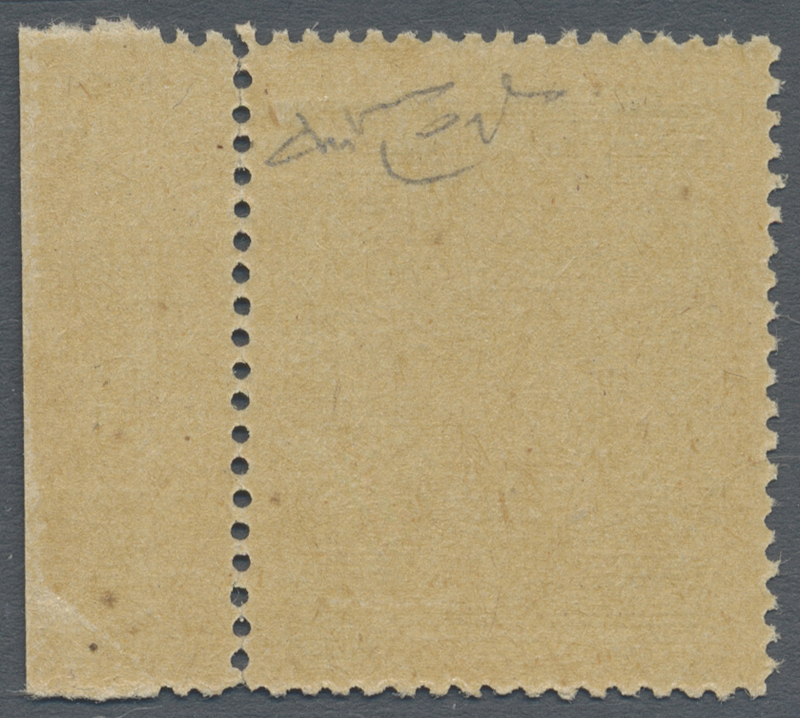 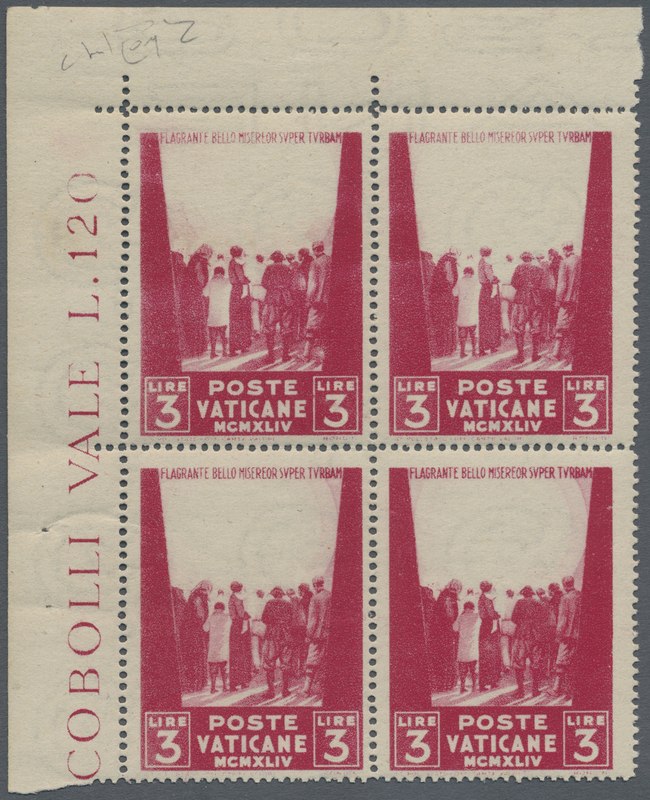 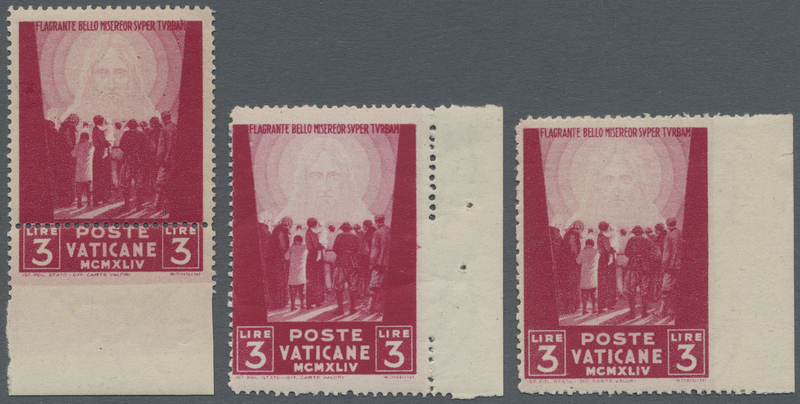 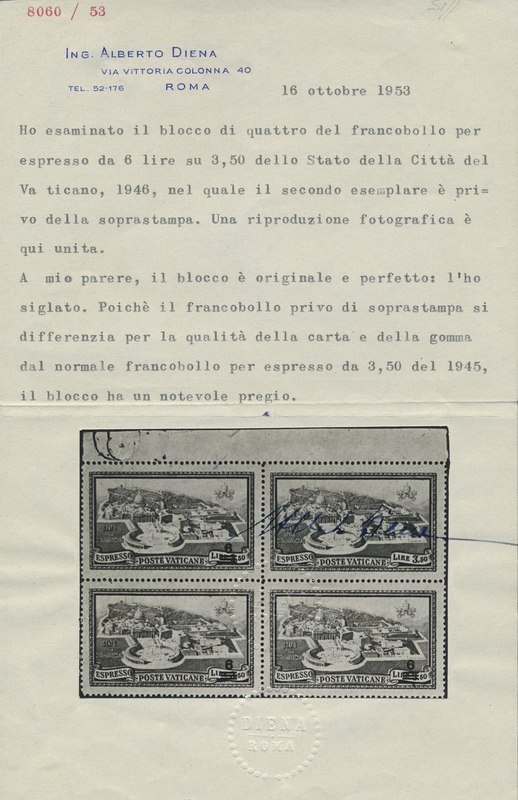 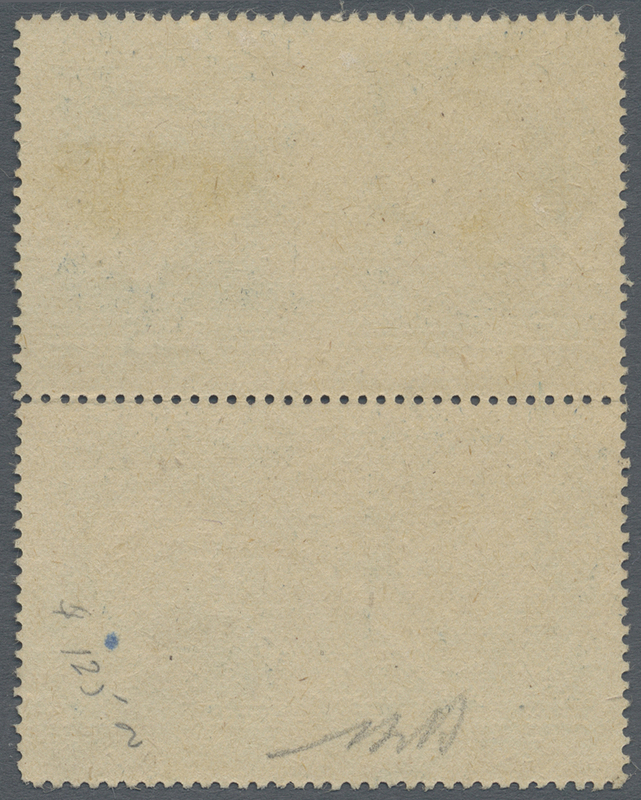 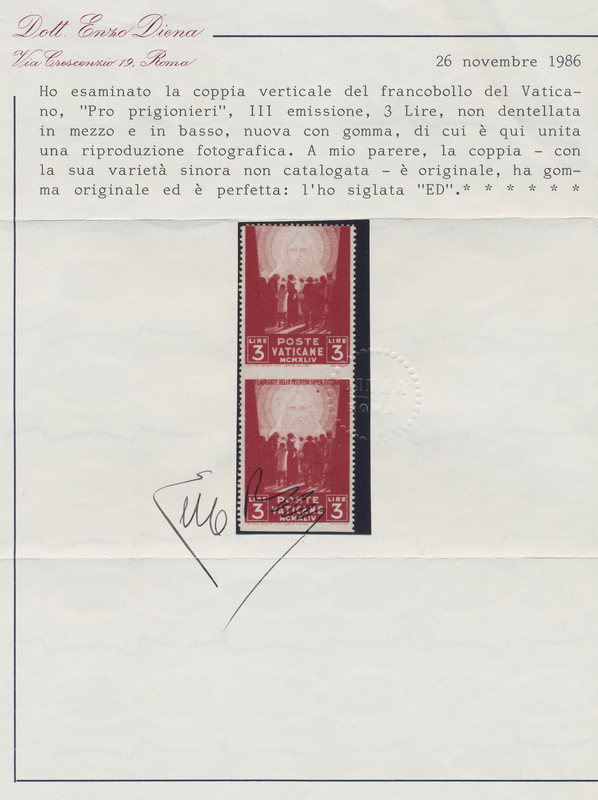 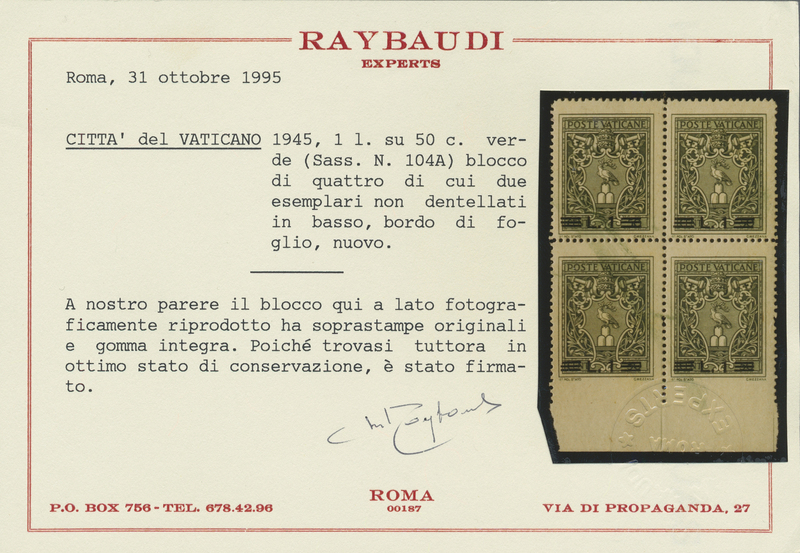 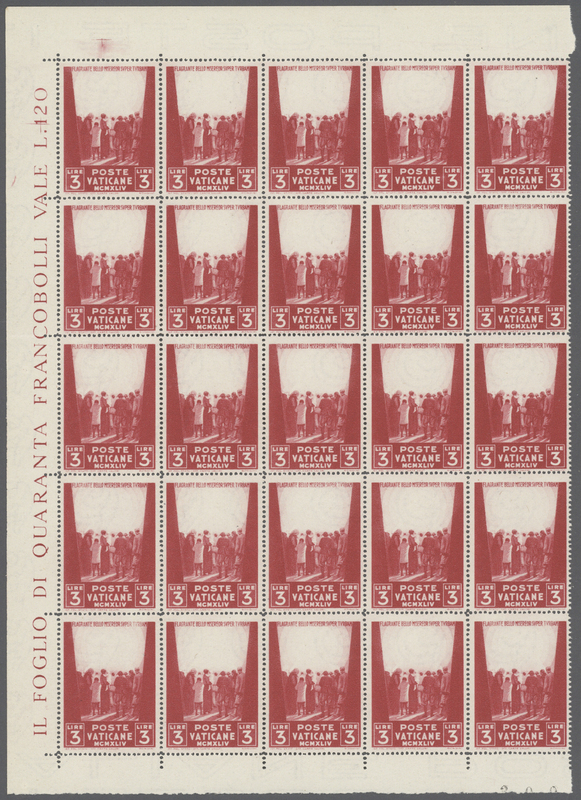 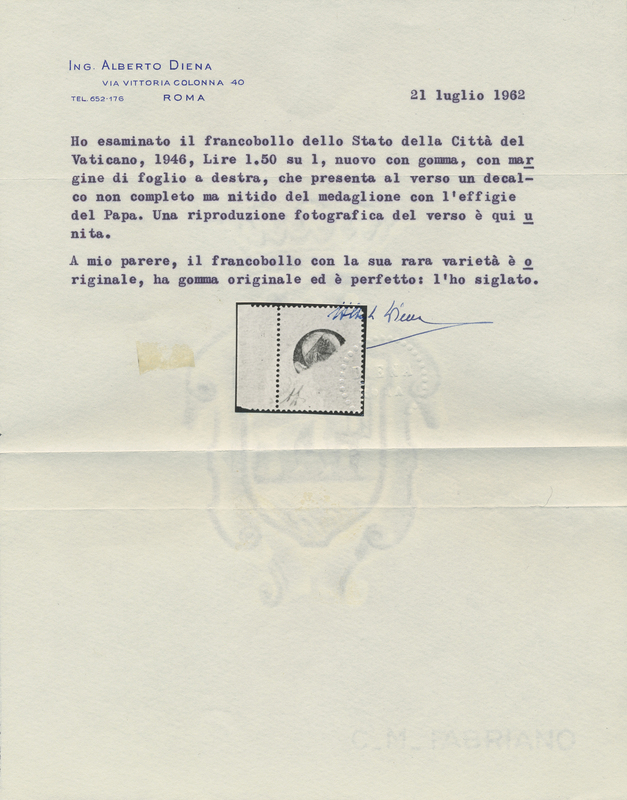 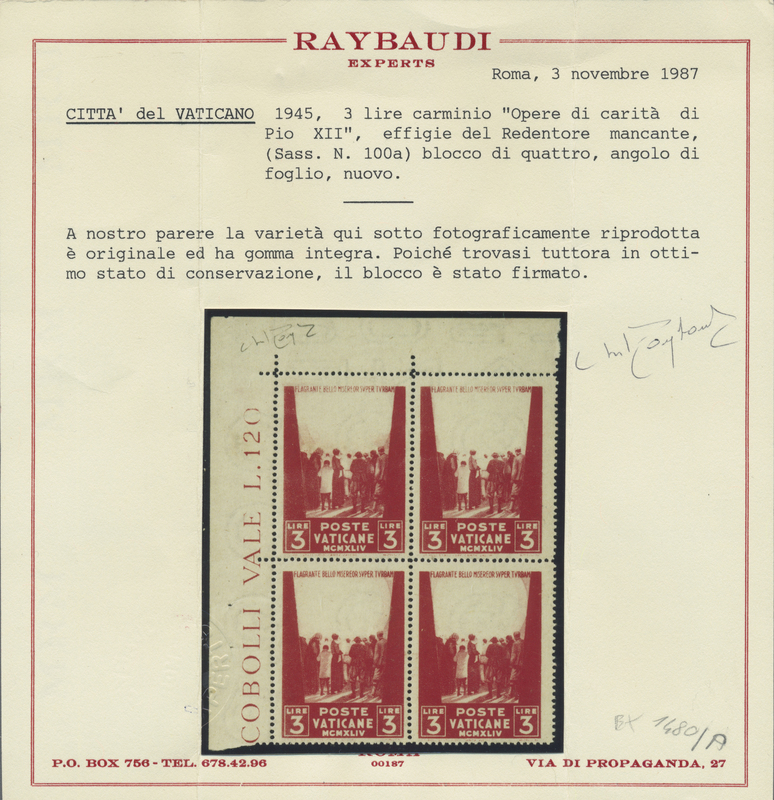 20867 postfrisch (never hinged) ** 114 Ur, 114 var (2), 1945, 3 L carmine "war victims relief", lot with three perforation varieties: imperforated right margin, partially imperforated right margin and lower horizontal perforation shifted upwards. 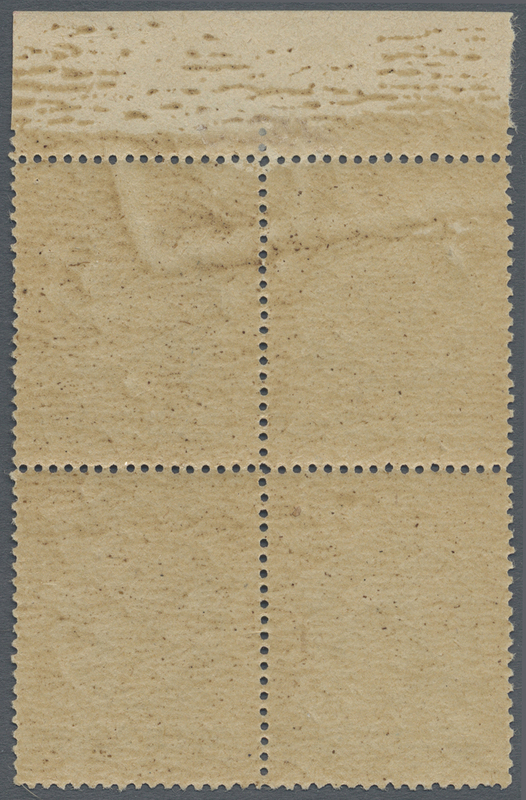 20880 postfrisch (never hinged) ** 4er (Block) 117 var, Sass. 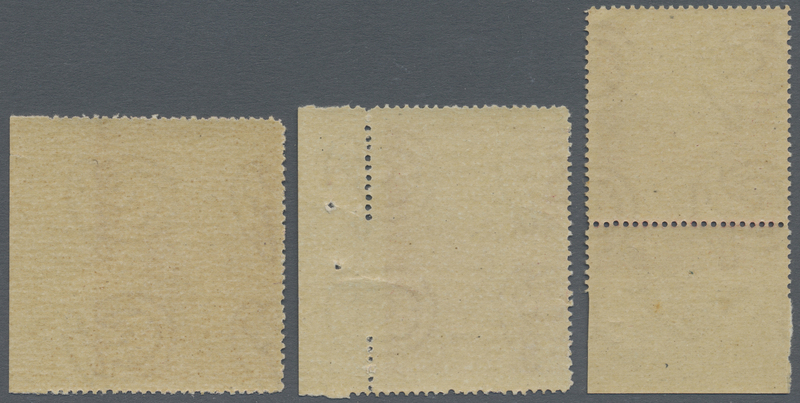 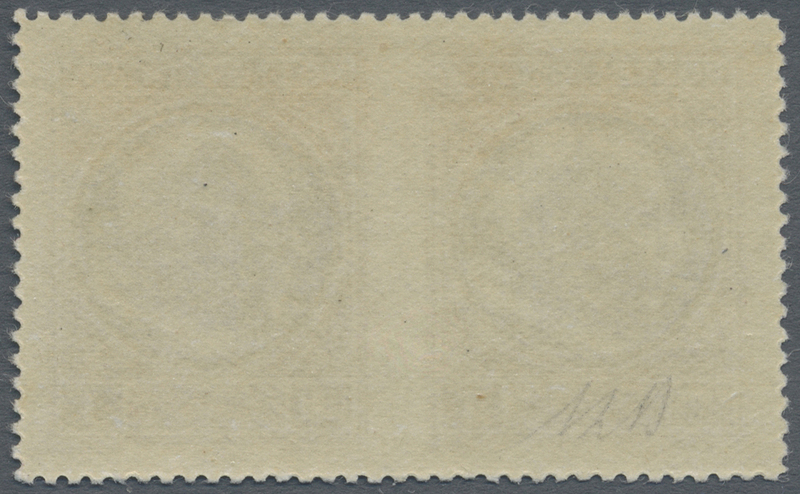 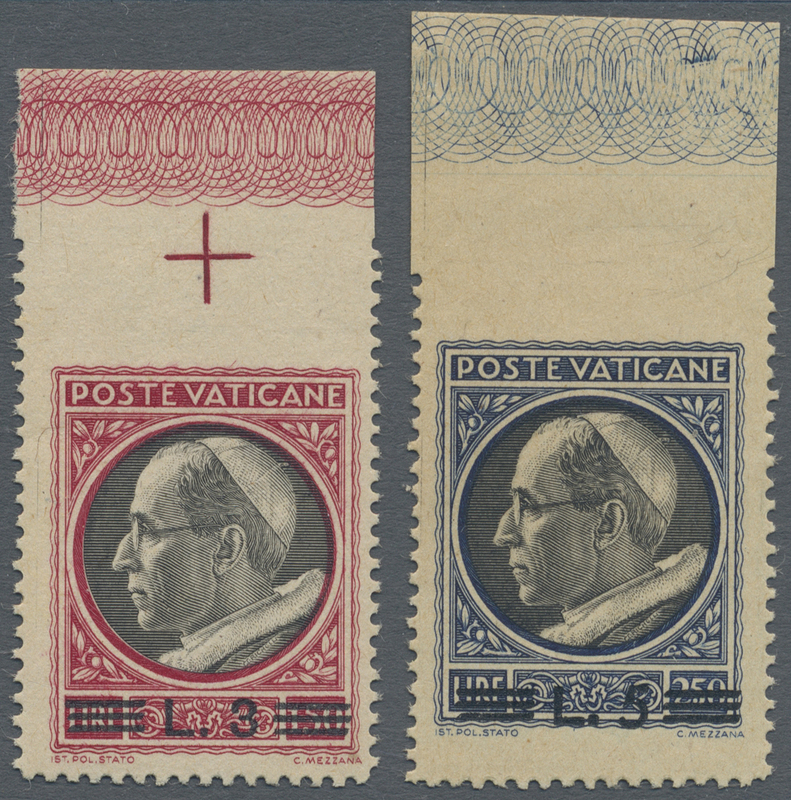 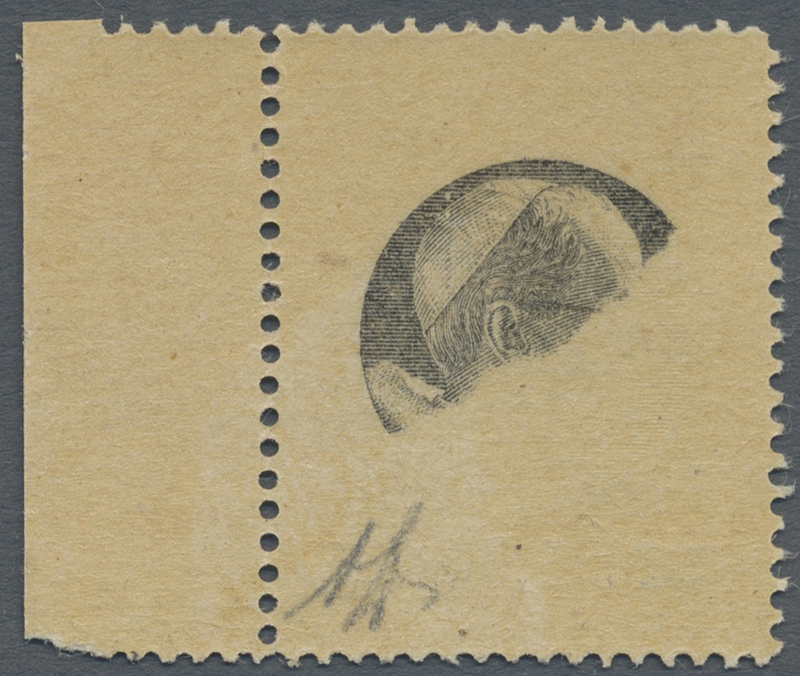 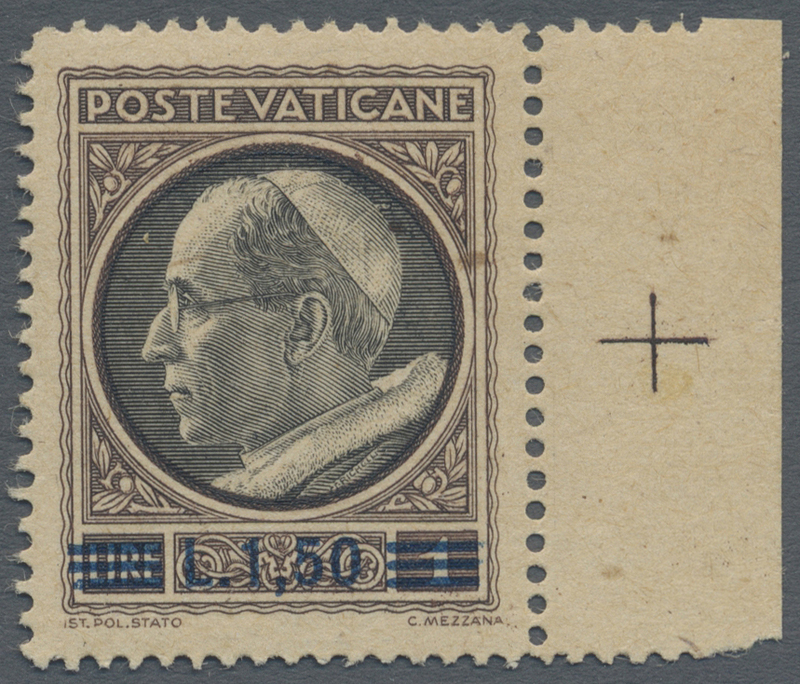 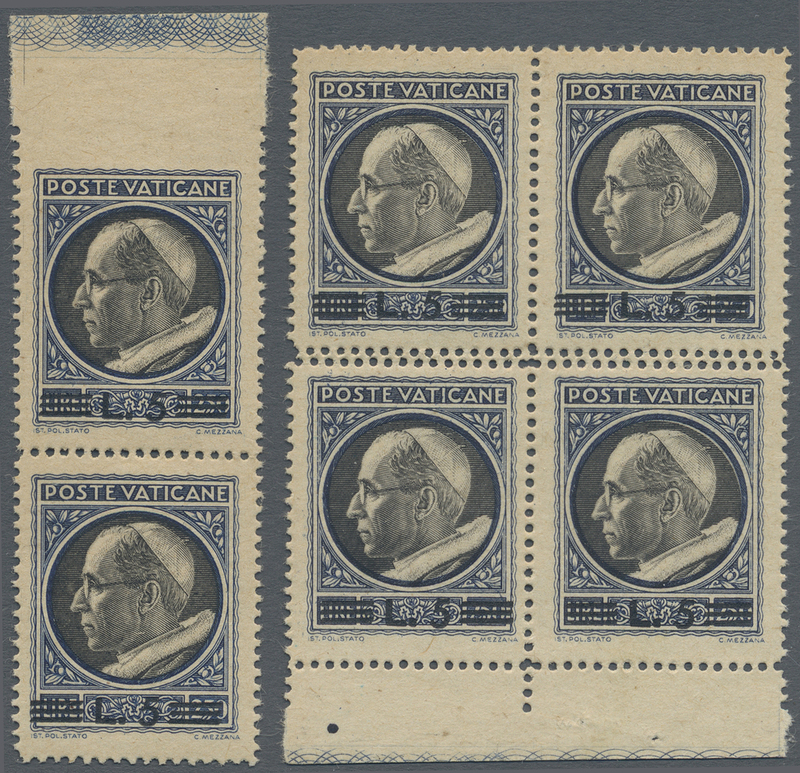 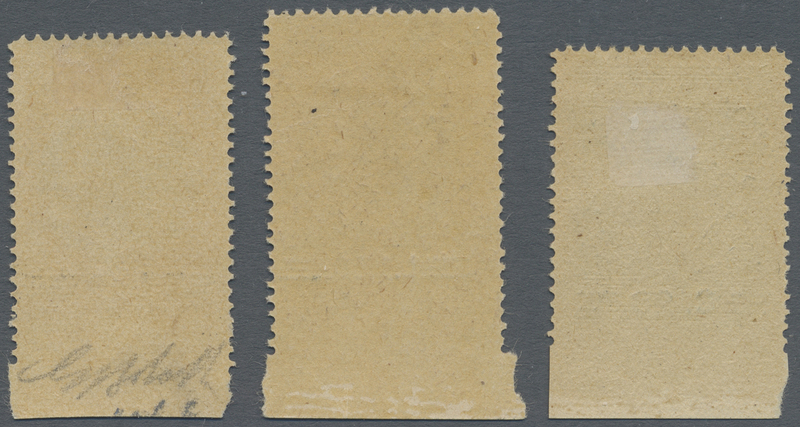 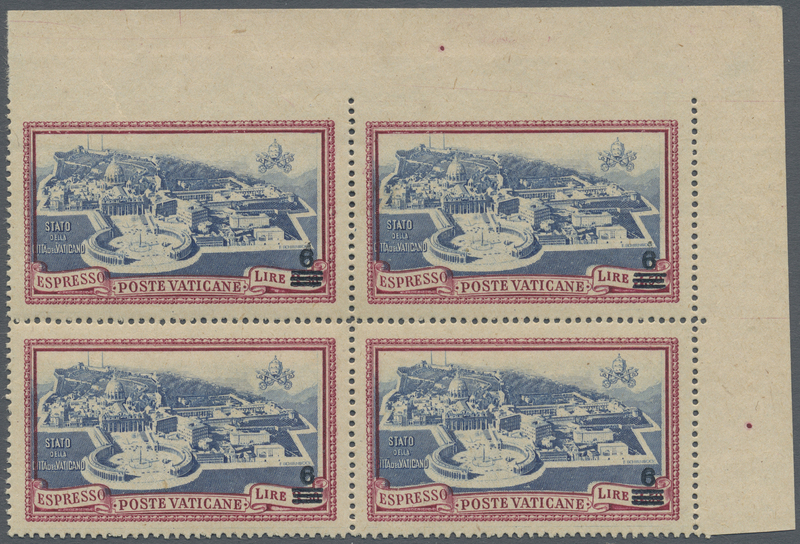 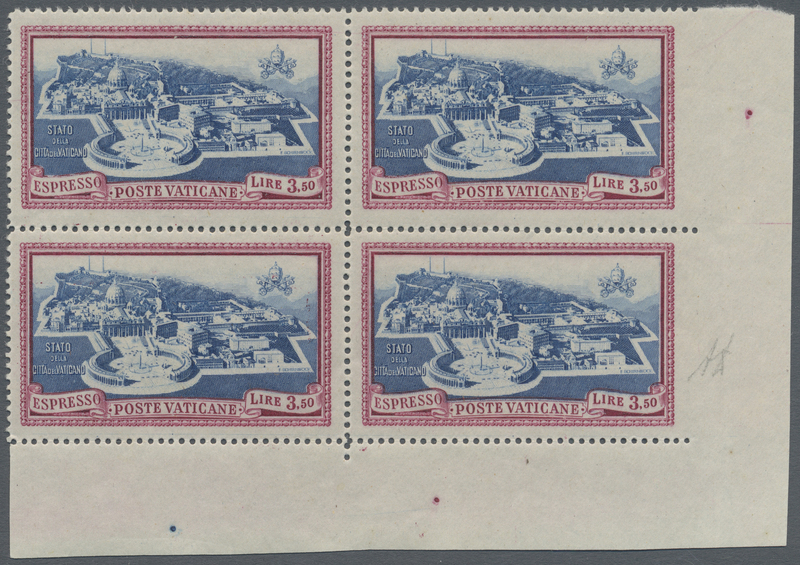 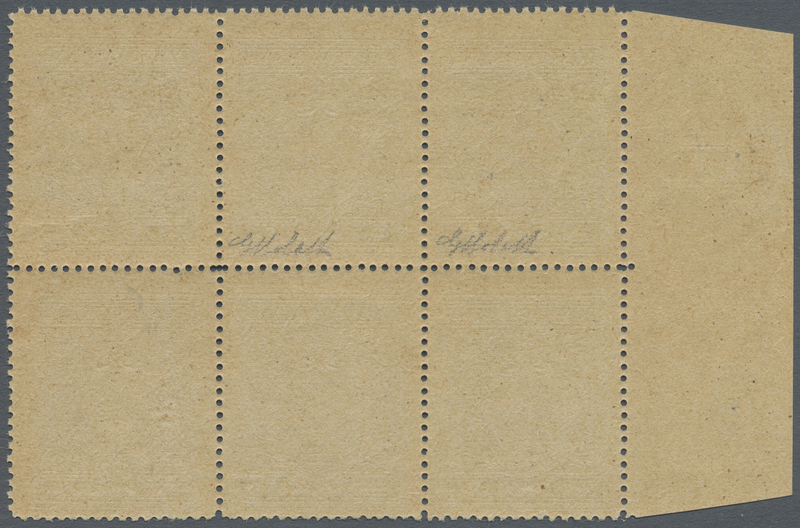 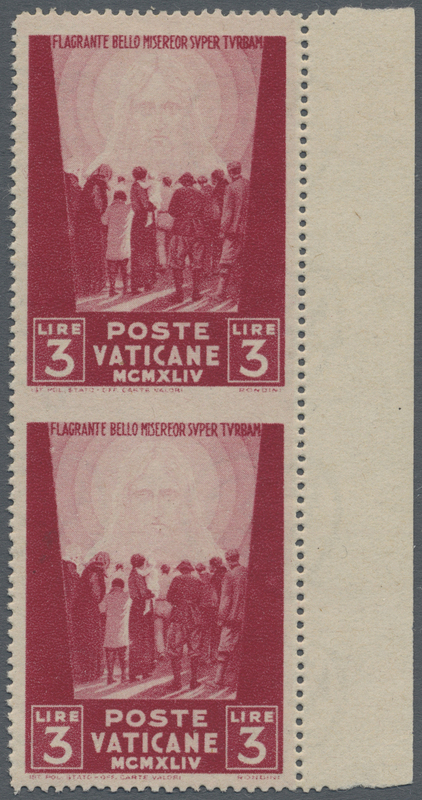 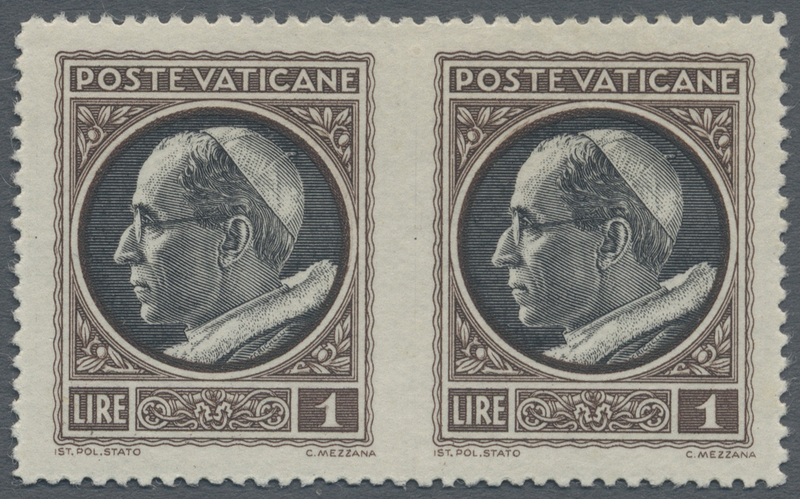 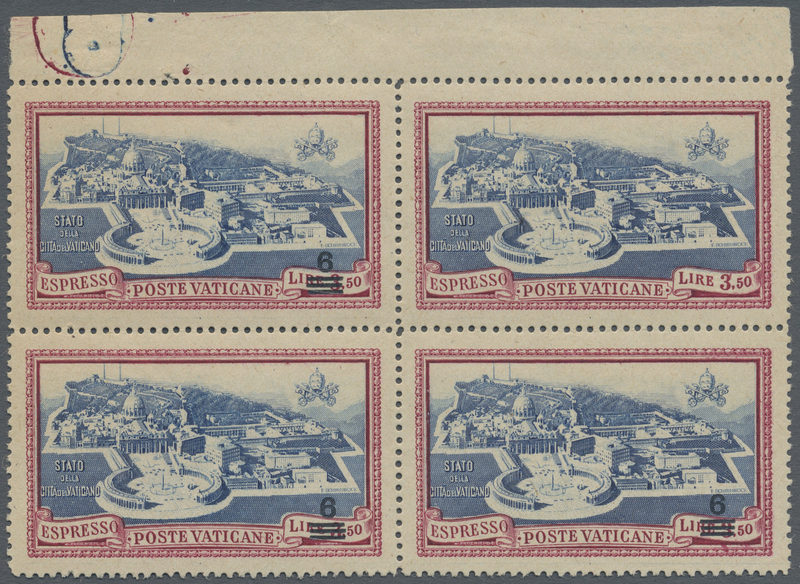 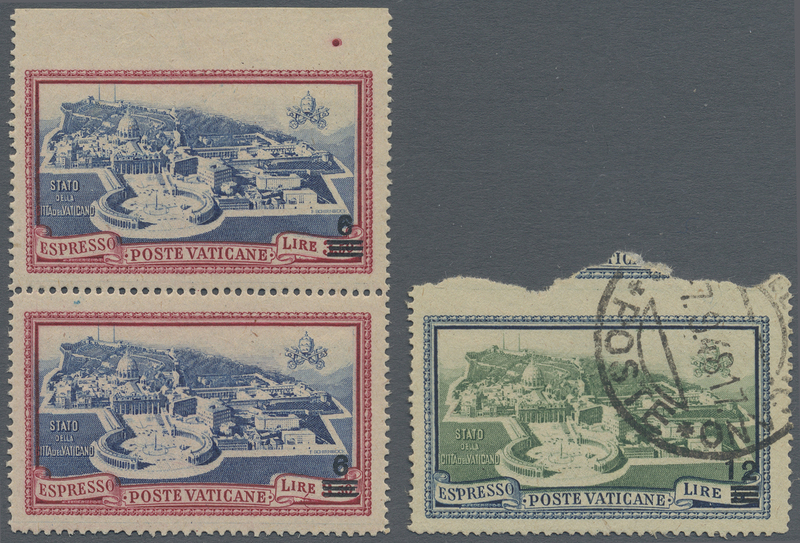 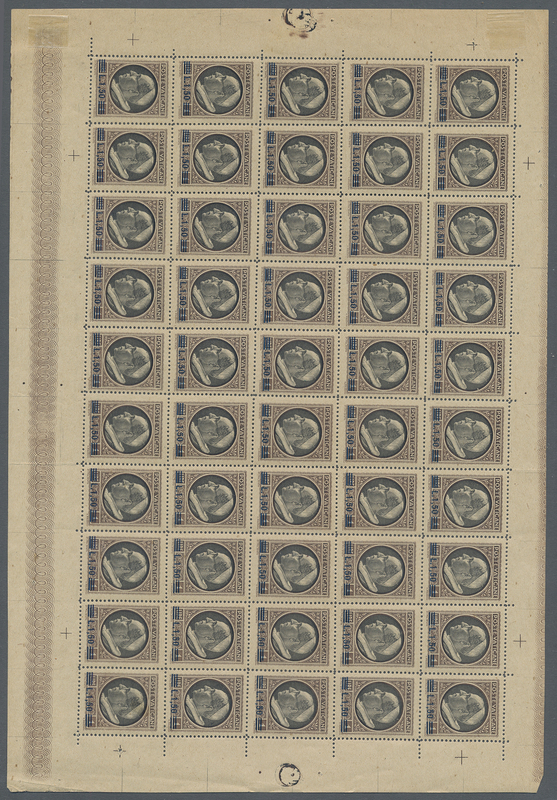 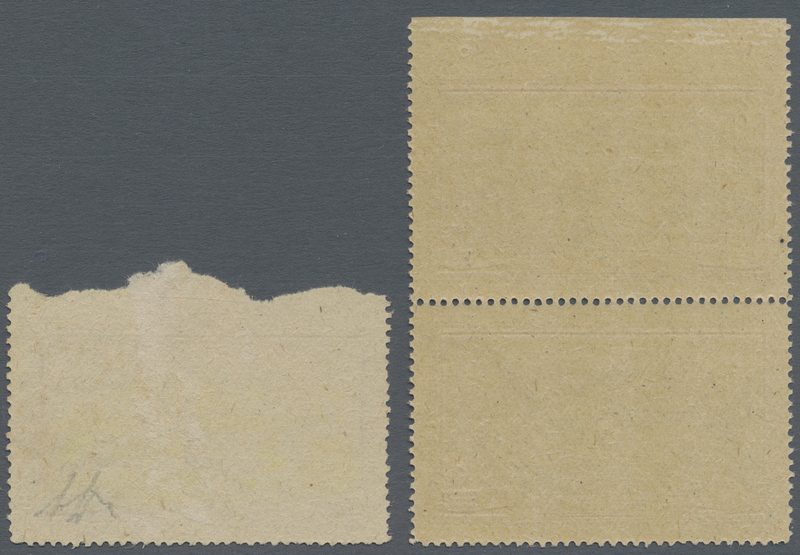 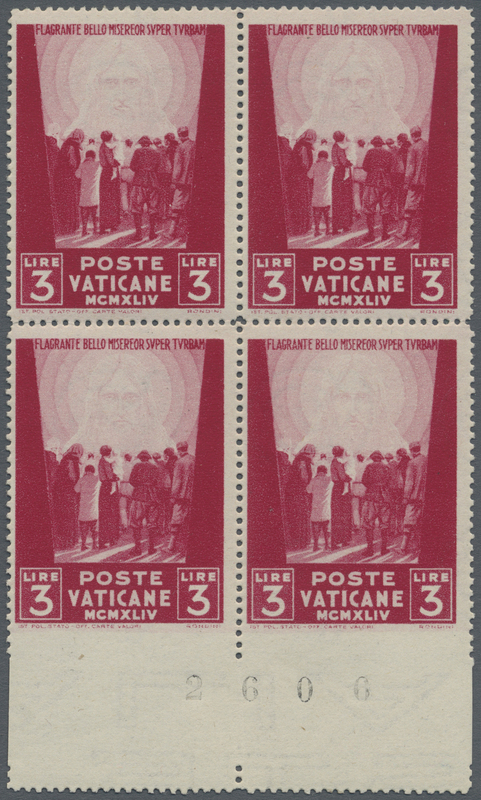 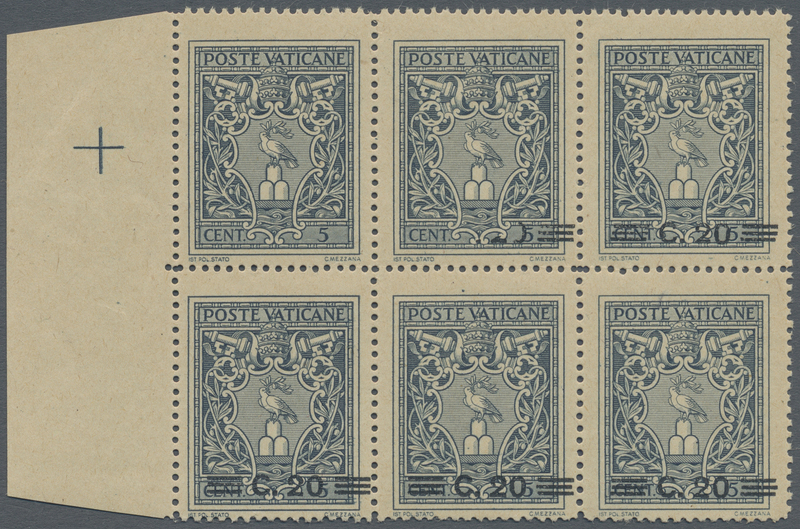 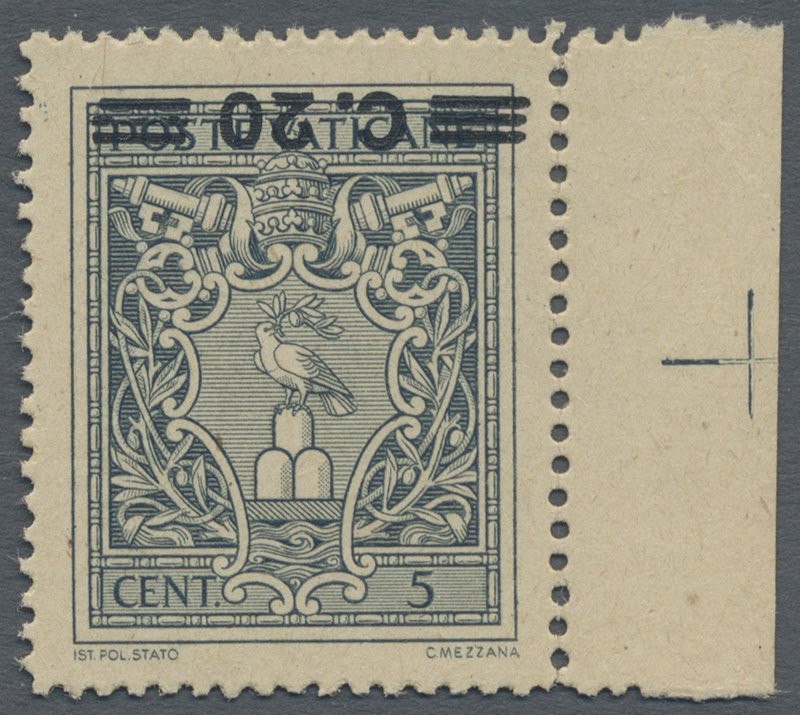 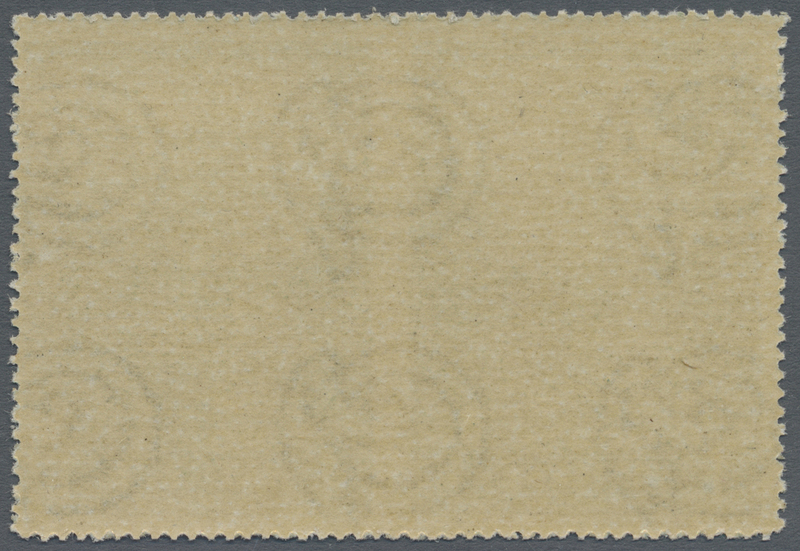 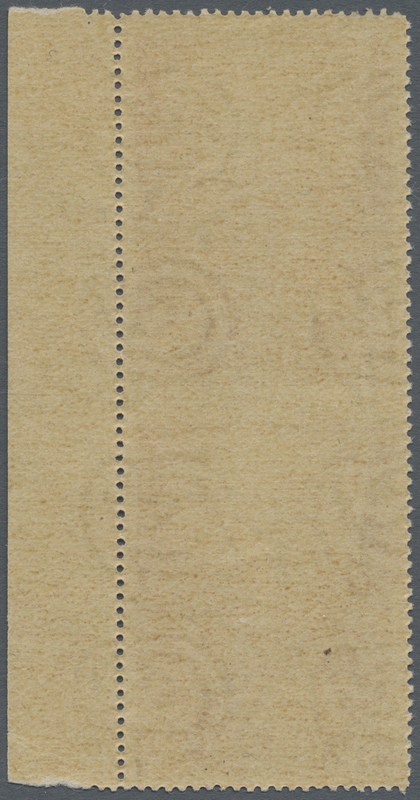 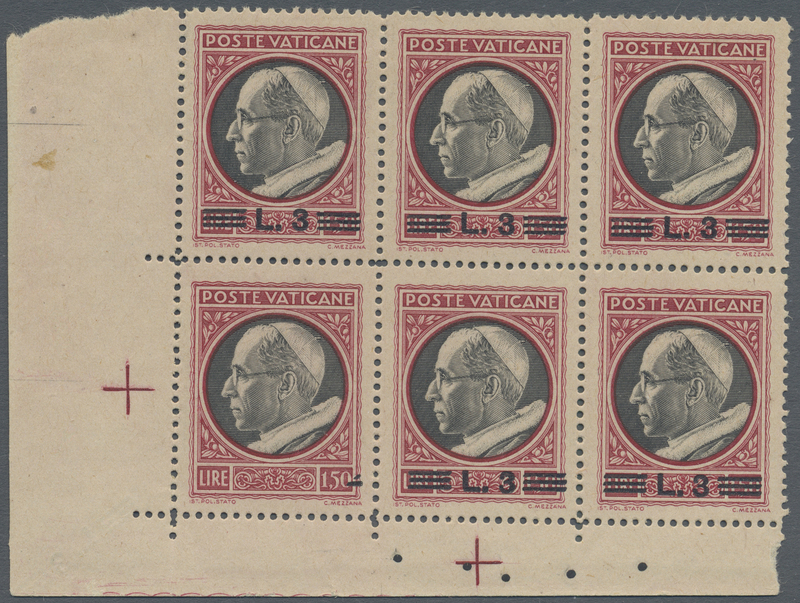 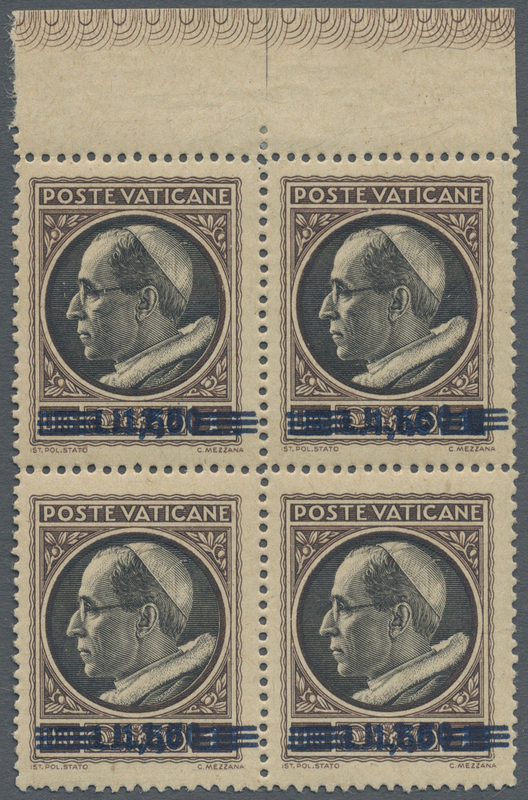 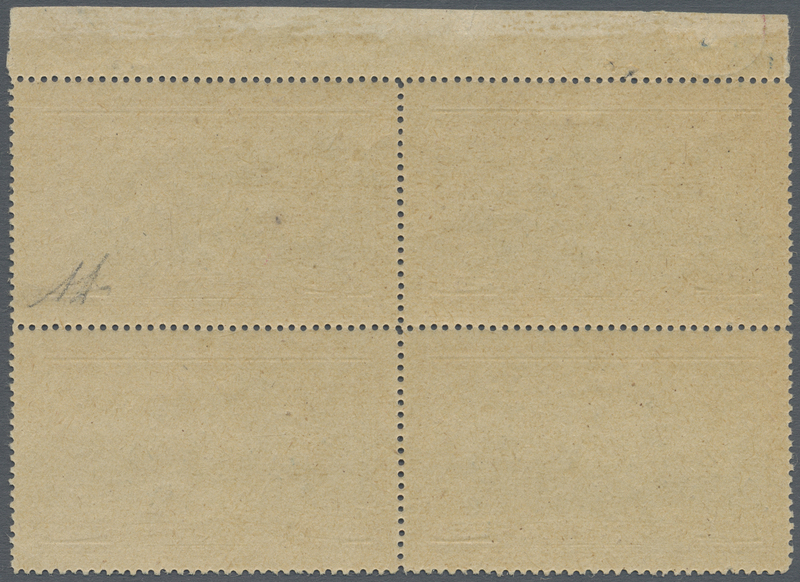 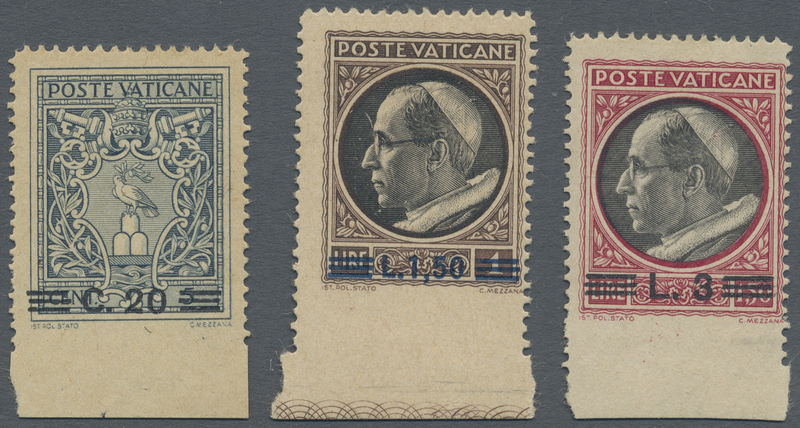 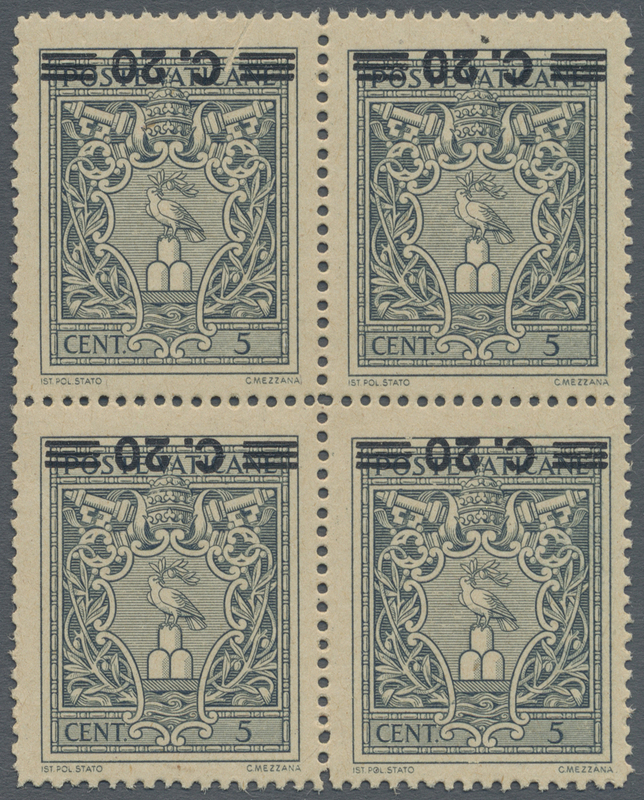 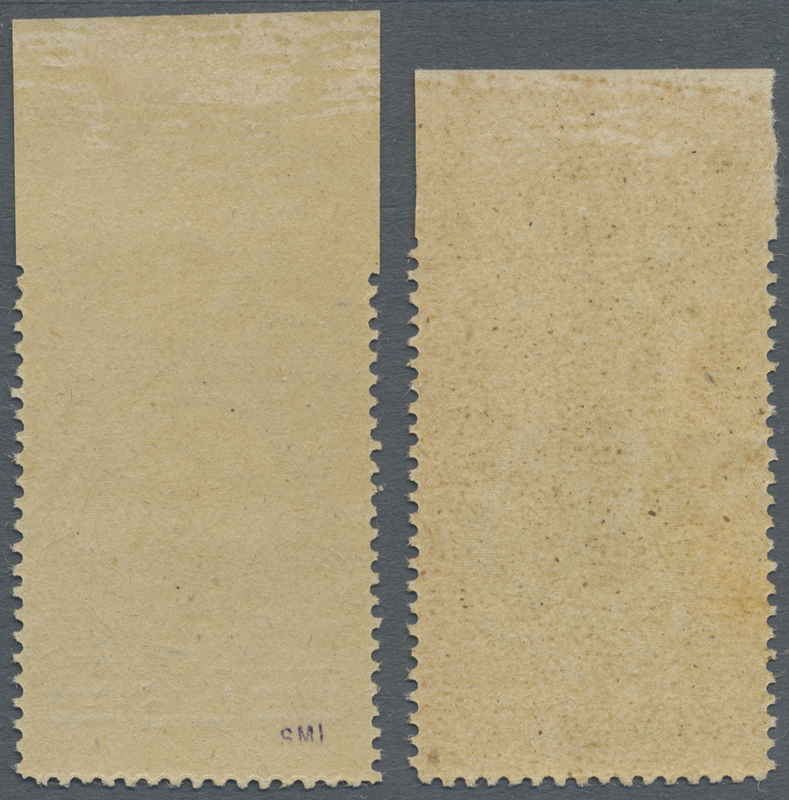 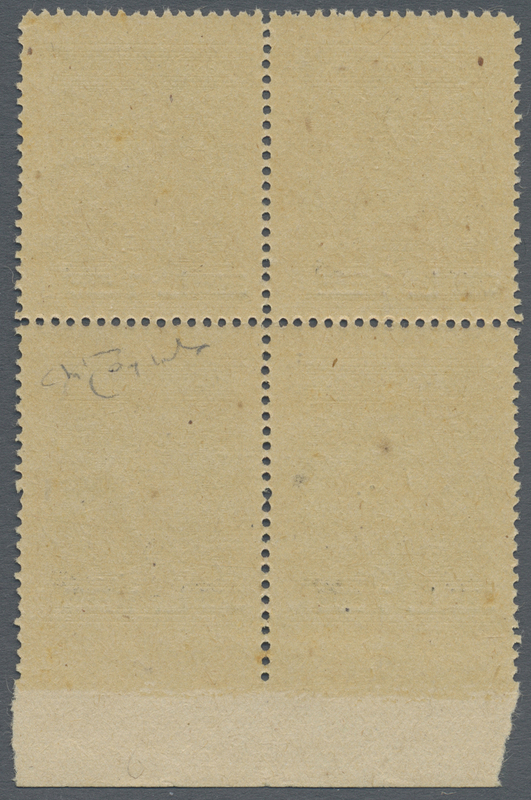 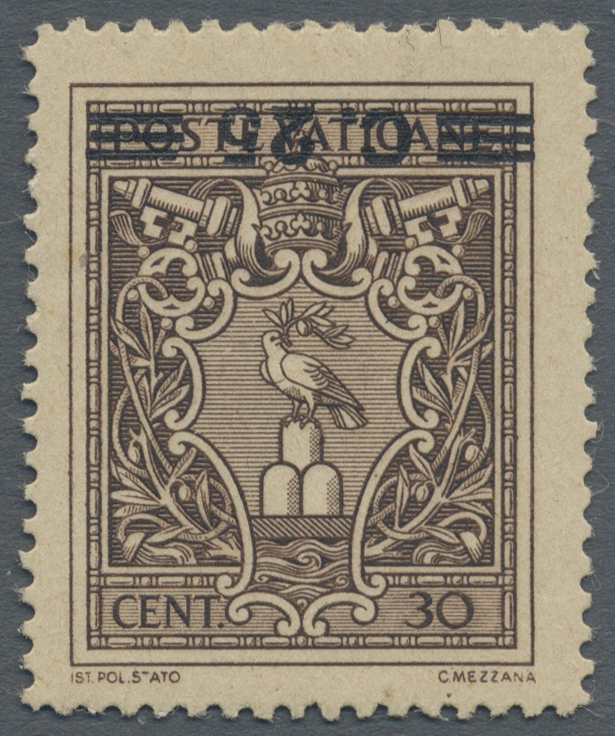 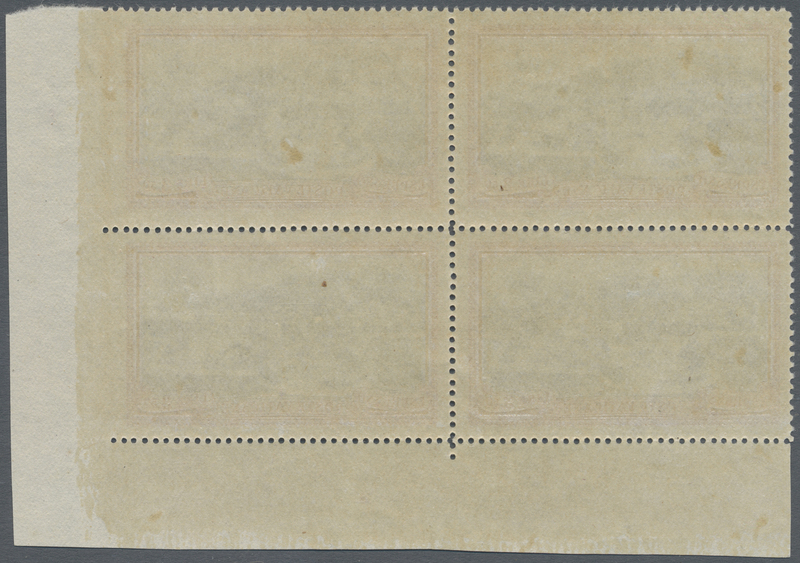 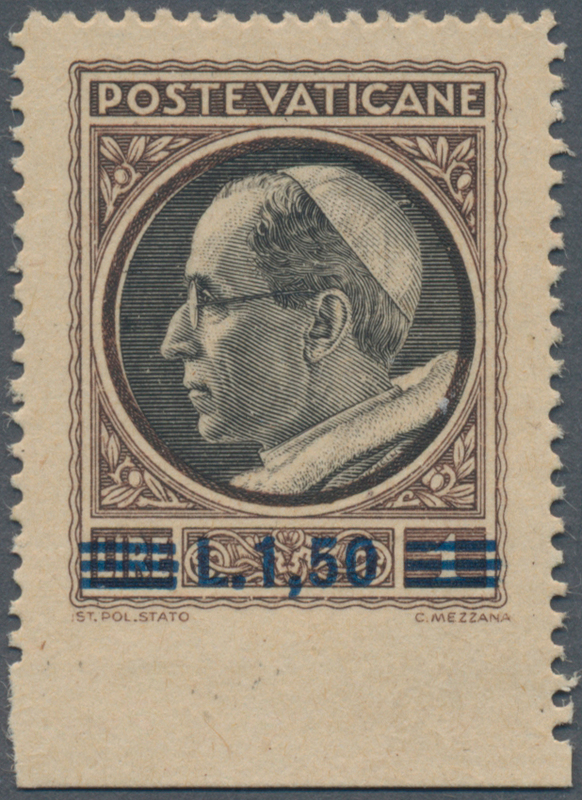 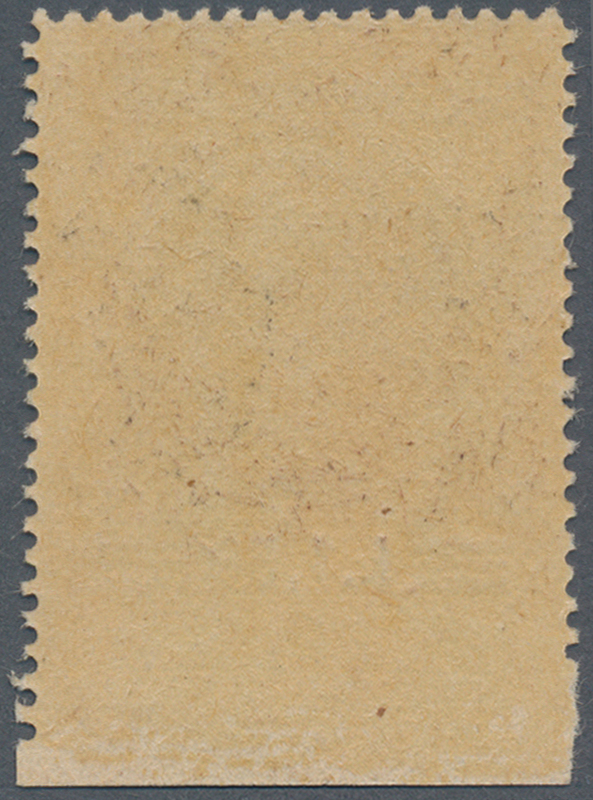 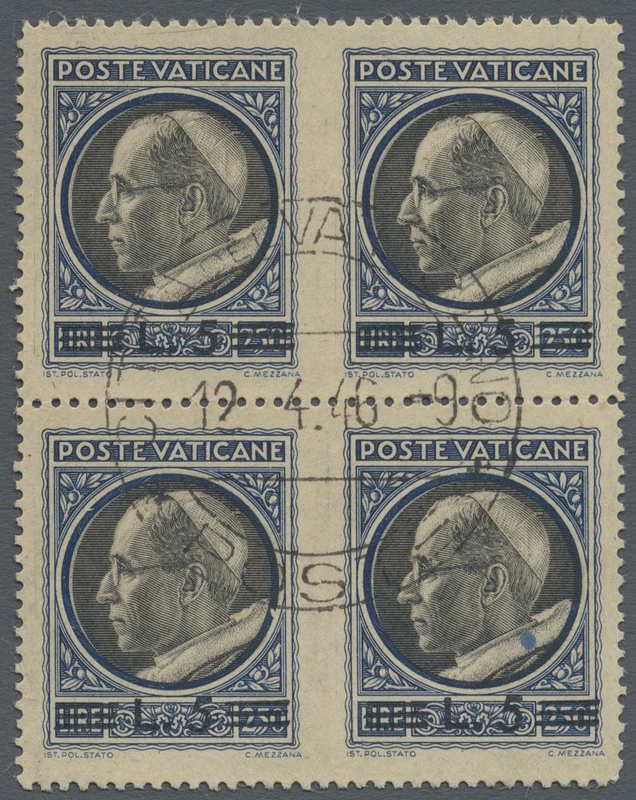 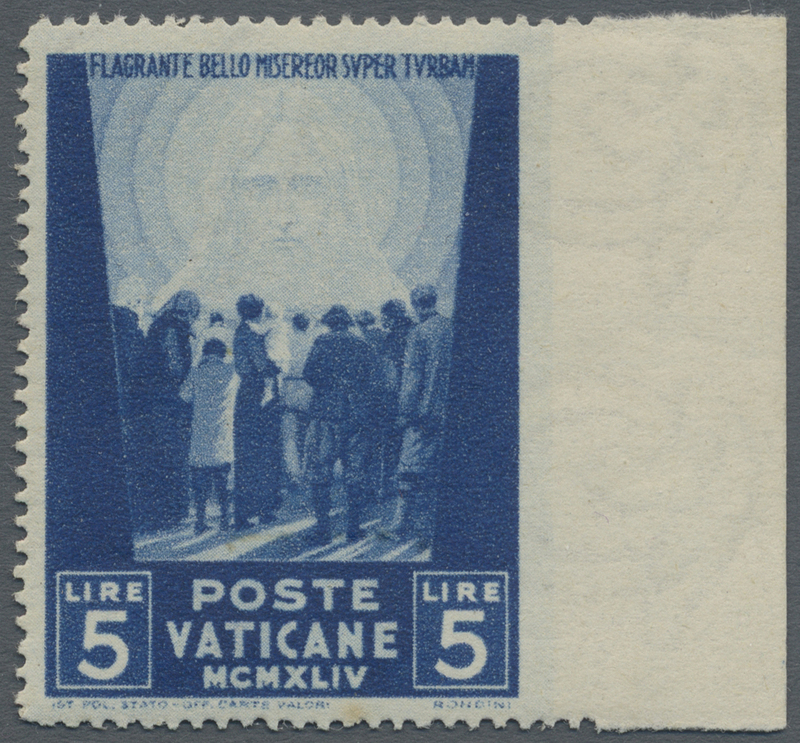 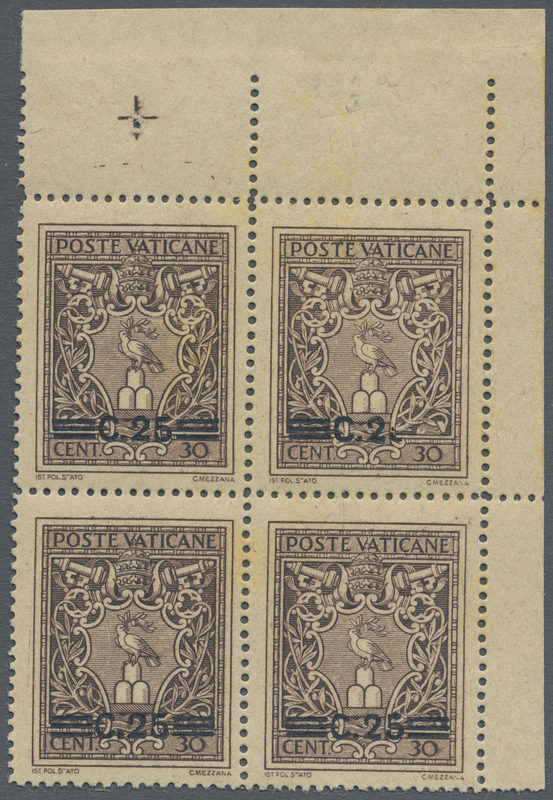 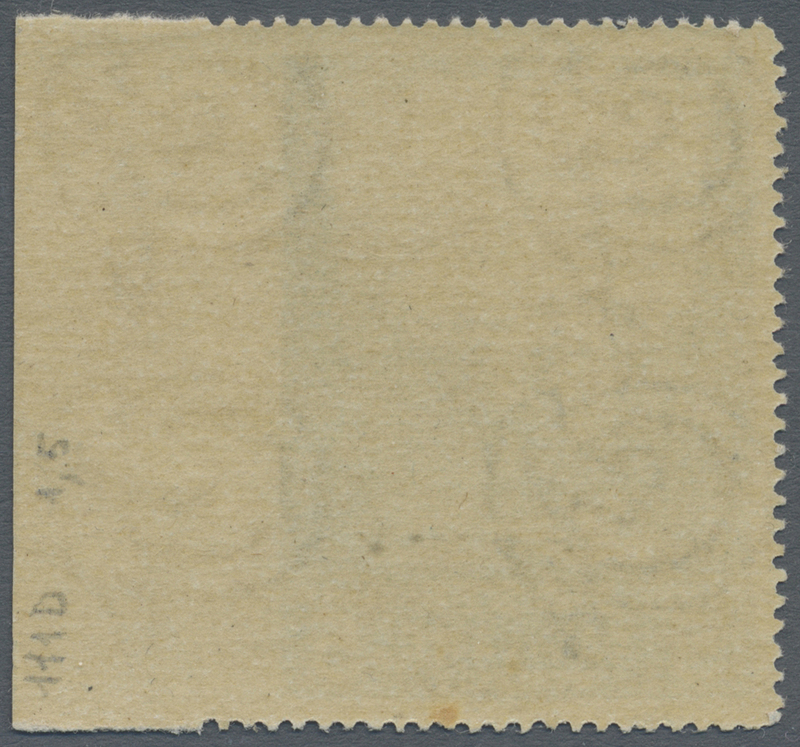 103 v 1945, 25 C on 30 C brown, block of 4 from upper right sheet corner, corner stamp with partially omitted overprint "three bars at left + C.2", mint never hinged with slightly toned original gum.